For a movie about a man who thrived on spectacle, The Greatest Showman has a short supply. There's nothing to Barnum's family story that is at all compelling. I enjoyed the Efron/Zendaya pairing far more (and not only because it results in the best song of the film). 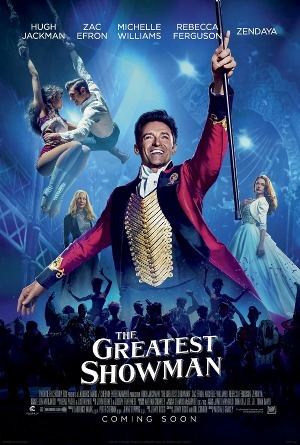 And while there's plenty of opportunity for the movie to explore the odd characters which Barnum will show off (to profit himself most of all), we don't ever get to know any of them in any more detail than than as a midget, a bearded lady, and so on. Here's a wealth of material unmined in favor of Barnum alternatively feeling great or sorry about himself. The result is mildly entertaining, in its best moments, but hardly great.